Would you lick the scabs and wounds of Lepers for your beliefs? 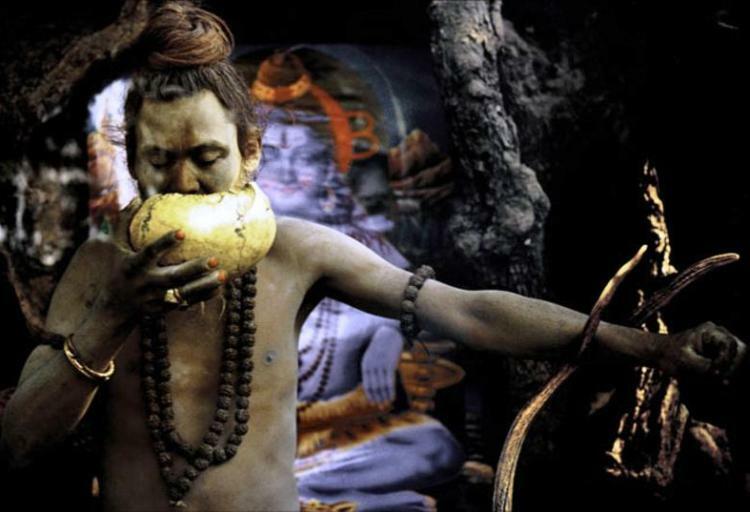 Read more about the most unusual religious rituals across the planet. The Grishneshwar Temple in Indian state of Maharashtra is the site of a very unusual – and potentially dangerous – religious ritual. As the name suggests, babies between the ages of one and two are thrown from a 50-foot tower, with men positioned beneath to catch the babies on sheets. The 700 year old ceremony is believed to make children more intelligent, luckier and healthier and is practiced by both Muslims and Hindus in the region. Sky burials were an exclusive and unusual religious ceremony in Tibet. The practice involved dissecting the deceased’s body and scattering the pieces on a mountaintop to decompose or be consumed by birds. Most Tibetans follow Buddhist traditions, which dictate the human body is merely a vessel and can be discarded, thus why the practice was popular. The practice was ultimately outlawed, but can still be performed with the family’s permission. The Aghori is considered to be a religious cult that broke away from the overarching Hindu religion in the 14th century AD. In Hindu mythology, it is believed that everything emanates from “Brahman” and that no evil exists. Aghori followers take this interpretation further by believing that everything is god and to abandon anything is sacrilege. This belief manifests itself into crude rituals, particularly their practice of dwelling near cremation grounds and eating the corpse of the deceased. Named and created after the legendary soccer player, the Maradonian Church is an ode to Argentine Diego Maradona. The church simply believes that Maradona was the greatest soccer player in the history of the sport and prays to that fact. They also have a set of commandments including changing your middle name to Diego, naming your son Diego and “spreading the news of Diego’s miracles”. To date, there are 80,000 followers in over 60 countries.